Last year’s pilot scheme shares findings and prepares to roll out further. Innovation Unit has been working with the Social Care Institute of Excellence (SCIE) to deliver the Named Social Worker programme for the Department of Health. 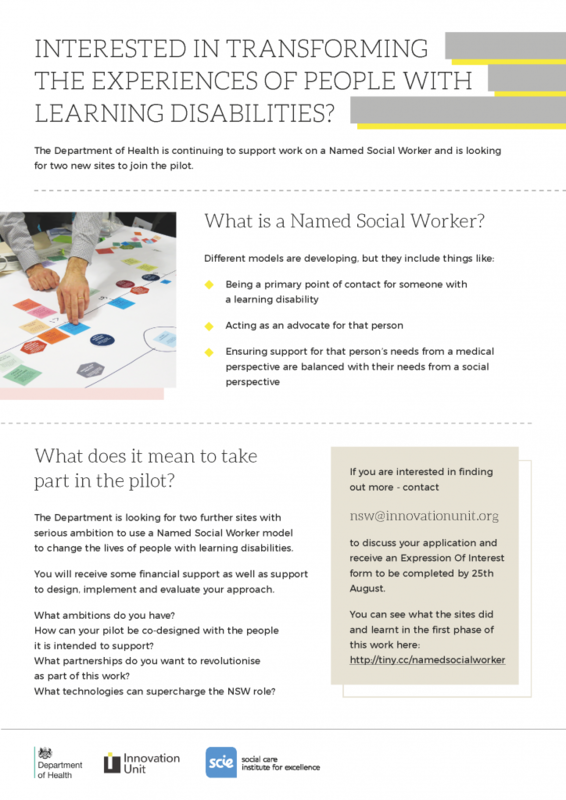 This has involved supporting 6 local authorities from across England to build an understanding of how having a named social worker can help individuals with learning disabilities achieve better outcomes. The programme is specifically focused on ensuring that people with learning disabilities and their families have control over decisions about their own future, and are supported to live with the dignity and independence we all strive for. The programme supported sites to develop, implement and evaluate Named Social Worker models over a 6 month period. Each model responded to sites’ local strengths and challenges. 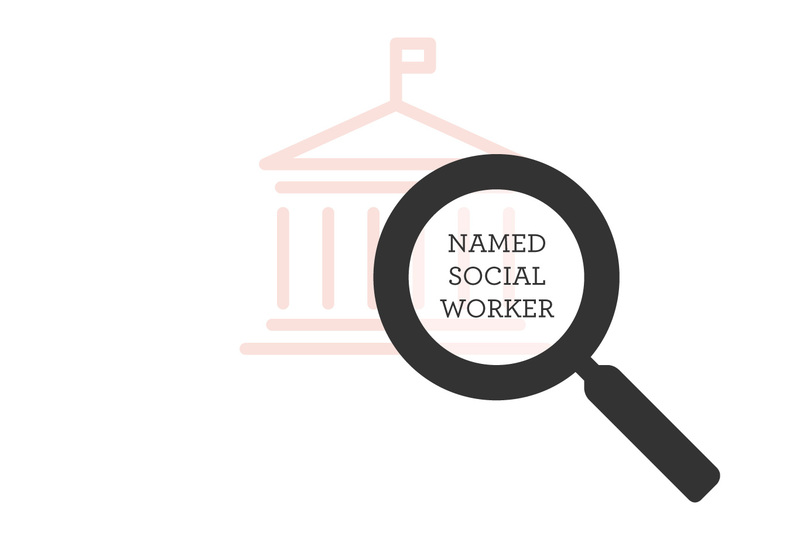 The Department of Health is now continuing to support the work on a Named Social Worker and is looking for a small number of new sites to join the pilot. More information is available below and you can contact nsw@innovationunit.org for the Expression of Interest form (to be submitted by 25 August 2017).